with a special thinner mono-block screw knob. All for the sake of mounting the clamp flat on a surface, while being able to manipulate the knob quite easily still. Once again the F163b QR Clamp is a result of user demand wishing a clamp with longer jaws than the F162b which serves the same function. So it can be mounted on a flat surface without the usual interference of the screw-knob with that surface. Side Countersunk holes: 2 x Threaded 1/4"-20 - set 45 mm apart. 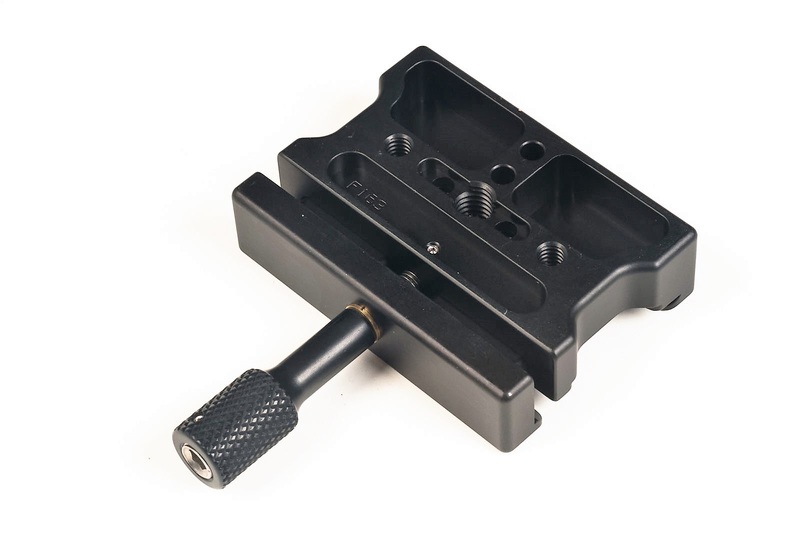 Similarly, the top side is identical to the F63b QR clamp with decimal scales on both jaws, the 2.6 mm deep safety stop relief grooves, the counter sunk and 3/8"-16 threaded center hole and the two standard side mounting screws which are also counter sank and 1/4"-20 threaded. Just a reminder that the side holes are placed 45 mm apart on the F63 and F163 instead of 30 mm on the F62 and F162. The classic by now, tongue in pocket design of the moving jaw guides is also identical, to guaranty a long term operation by preventing dirt and grit entering the clamp interior. Needless to say that the bottom side is identical as well, with the standard Hejnar dowel pin holes and the usual grooves and holes helping to maintain the weight low without affecting the clamp strength. Somehow in order to achieve the flat mounting required the increase of the Clamp thickness, but with little increase in weight, actually only 37 gr compared to the F63. 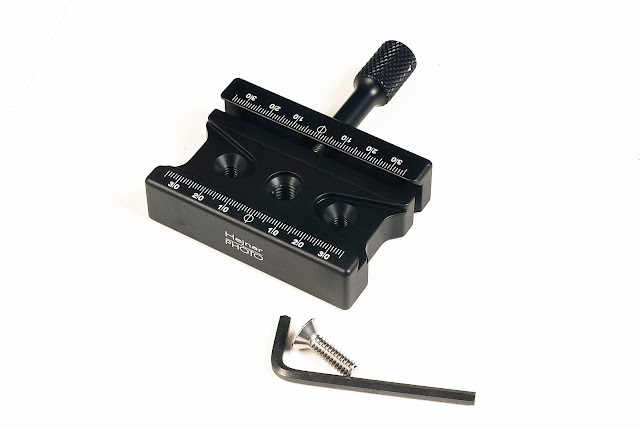 The second required element is the thinner, block screw-knob, that is now narrower than the thickness of the clamp. In this way, it will not interfere with any surface laying flat above or bellow the clamp. 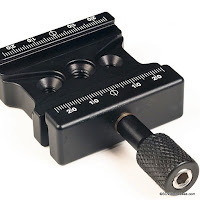 In other words, the user can either clamp a large format camera plate that extends a lot out of the QR clamp perimeter; or mount the clamp flash on a large board or video camera rig, without the screw knob come in contact with either surfaces. 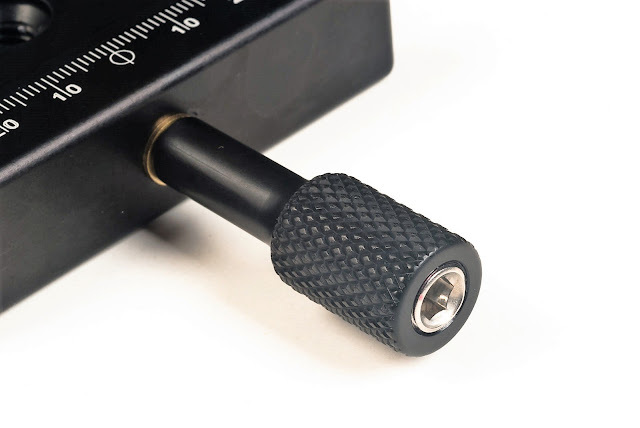 Furthermore, in tight spaces where the screw-knob cannot be manipulated by hand, the knob is also equipped with a 5 mm hex socket, allowing it to be turned via an Allen hex key. As standard with all Hejnar Photo products the appropriate screws and tools are included. An 1/4"-20 flat head hex-socket mounting screw and the corresponding Allen hex key accompany the F163b. 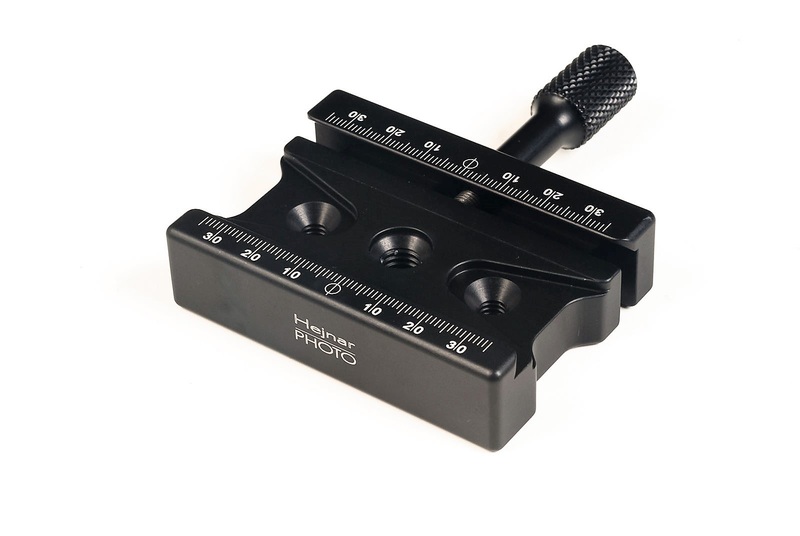 Arca Swiss® compatibility is a long time standard for Hejnar Photo products extended to this QR clamp as well. 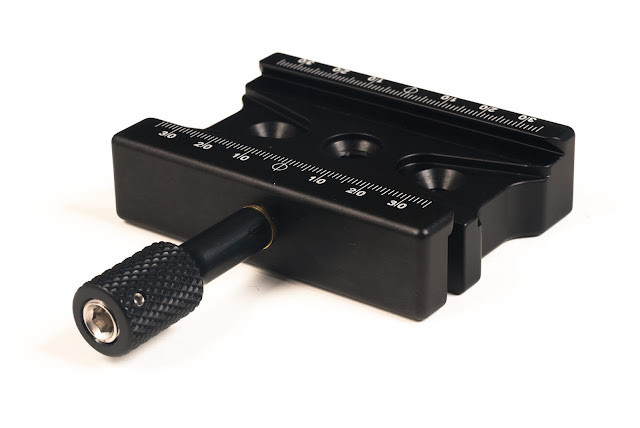 Current price for the F163B clamp is US$ 75.00 (+Shipping where applicable). The F163b is only available on preorder from the Hejnar Photo online Store, in a first come first served base.